I don’t like feeling bad about myself and I am sure you don’t either. And I confess that when I do feel bad about myself I either beat myself up a bit more or I binge eat late into the night. Neither of those responses would I call godly. Is there a godly way to look into oneself – to look at one’s weaknesses and sins – and find freedom and joy? I think there is. We are in the middle of the season in the liturgical calendar known as Lent. Lent is that 40 day period beginning with Ash Wednesday and ending at Easter. It is a reflection of the 40 days Jesus spent in the wilderness when he was tempted by the devil. For us, Lent can be considered a hard season as it is a time set aside for confession, remorse, repentance, and apology. These are not always easy words to engage in, but they are good words – powerful acts – and they perform a powerful function of conforming us into the image of God. Confession: to admit a fault. Remorse: a deep sense of guilt felt over a wrong that one has done. Repentance: to feel so contrite over one’s sins as to change or decide to change one’s ways. Apology: an acknowledgment of some fault, injury, or insult with an expression of regret and a plea for forgiveness. Notice how these words build upon one another: to admit; to have a sense of guilt; to change one’s ways; to ask forgiveness. These words help us to come to terms with ourselves before God. Lent has to do with self-awareness and self-honesty, and as Christians, we realize these are the words that ushered us into salvation and the Kingdom of God. We never want to lose sight of these words. Lent is that season where we stop making excuses, stop shifting blame onto others, stop judging others in order not to look at ourselves. 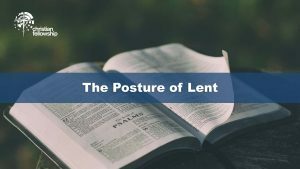 Lent is that season to look into our pridefulness, our greediness, our quickness to anger, our pact with lust, our envy of the other person, and our self-willfulness in insisting or manipulating to get our way. Lent is that season to confront our sin. Sin is an insidious ally. It is against God, it causes separation of person to person, and it shrinks the image of God in us. Sin is no friend nor helper. Now, at this point you may be saying, Phil I don’t like having to look into my dark and hardened heart. I want to look away from it. It makes me uncomfortable to have to admit my guilt. I don’t want to feel worse about myself, I want to feel better about myself. How can this season of confession, remorse, repentance, and forgiveness make me feel better? And, aren’t I supposed to be doing these things all the time rather than at a particular junction in time? Far from pulling him down, David’s act of honest contrition pulls him into God; does the work of cleansing of his conscience; and sets him in a place of freedom. David sought out God’s mercy, grace, and lovingkindness as the antidote to his sin. Of course, we are to be mindful of these things throughout the year, but in this special season of Lent, we are to be more mindful of our words, thoughts, and actions, and as a result, we enter into a deeper awareness of God’s lovingkindness. He who has been forgiven much loves much – so it is as we are more consciously aware of and more honest about our sin that we go deeper into the nature of God. May we together – as the church – give ourselves to the powerful workings of confession and remorse, repentance and apology. Do not dismiss this. These acts can do far more to change the spiritual atmosphere of a place than we can imagine. God will honor this. May we, as James said, Be swift to hear, slow to speak, slow to wrath; for the wrath of man does not produce the righteousness of God. And may we be ever-growing in grace-filled response as we consider He made Him (Jesus) who knew no sin to be sin for us, that we might become the righteousness of God in Him. May all of us, in these remaining weeks of Lent give attention to our attitude and spirit, and as we do, may we find a greater depth of the love of God for ourselves and for others.